Wuhan University Enters the Chinese "G9 group"
Wuhan University accepts international students into its Bachelor, Master, Doctoral programs as well as all other advanced programs in liberal arts, sciences, and medicine etc. The university also provides a special Bachelor of Arts program called the Chinese Language for International Students. 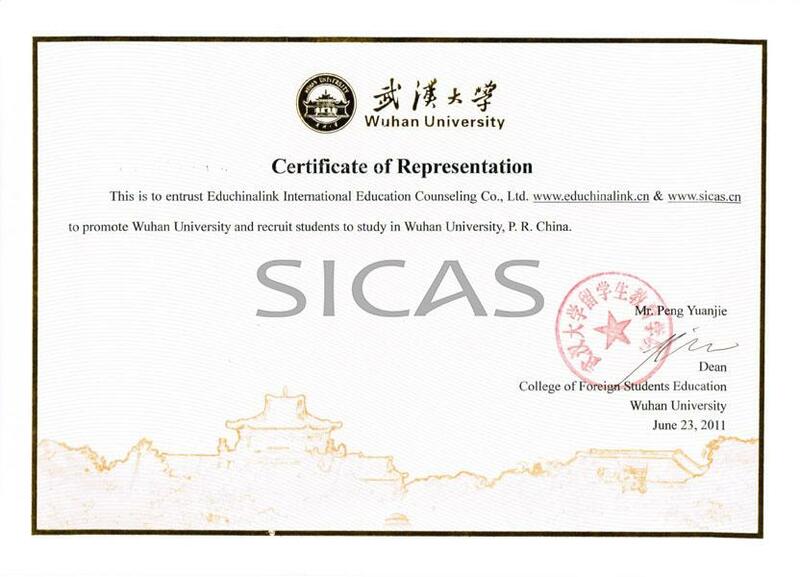 The College of Foreign Students Education of Wuhan University is a dedicated school for foreign students’ enrollment, administration and management, as well as the Chinese language teaching and training. It is also one of the few centers for HSK examination and for the qualification examination for the teachers teaching Chinese language to foreigners in China. The college, with abundant teaching resources and quality teaching and scientific research strength, has 31 teachers giving Chinese language courses to foreigners. Among them, 14 are professors or associate professors, 6 are the members of the World Chinese Language Society for Foreigners, and 31 are the members of China Chinese Language Society for Foreigners. Founded in 1893, Wuhan University is among the oldest and most prestigious universities in China. It has been attached great importance by Chinese government since the founding of China. Hailed as the most beautiful campus among all the universities in China, WHU has attracted not only Chinese student but also foreign students coming from more than 50 different countries and regions worldwide. You can choose your favorite course among a large number of disciplines including Bachelor of Medicine, Bachelor of Surgery (MBBS in English), Business Administration, Electronic Information Engineering, and so on. You will find it a good choice to study there.